Roger Vivier's 'Belle Vivier Trompette' pumps are truly iconic - the oversized buckle quickly became an instantly recognizable house signature when it debuted in 1965. Crafted in Italy from glossy patent-leather, this pair is set on a curved heel and has a sleek square-toe silhouette. They're just as chic with tailoring as jeans. 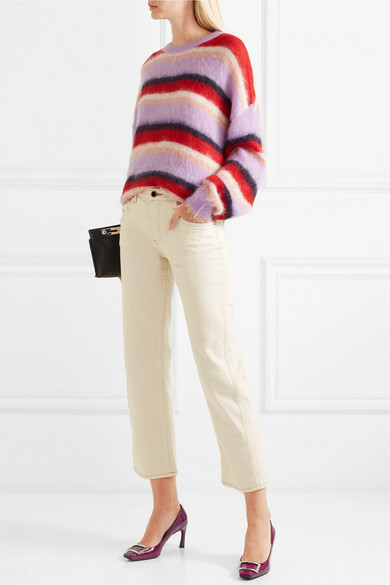 Shown here with: Miu Miu Sweater, Khaite Jeans, Loewe Shoulder bag.